I have a confession to make. I’ve been procrastinating on finishing the religion section of the worldbuilding process. After a PC failure I lost the outline for the next post. I have the basic information, but have been less then motivated to redo the outline and then write the post. So, to jump start the process I thought I’d jump ahead. A bit of a palate cleanser. I want to jump to a section so many world builders love, map making! We’ll be working on an Earth-like world so keep that in mind. I’ll also be doing my mapping work in Adobe Photoshop CS5, because of my familiarity with it. However, you can use any analog or digital medium. All I’ll say is layers are helpful. To understand how a world map operates we have to lay some foundation work. This is basic arithmetic, geography, and natural science. We measure Earth using lines of longitude & latitude. 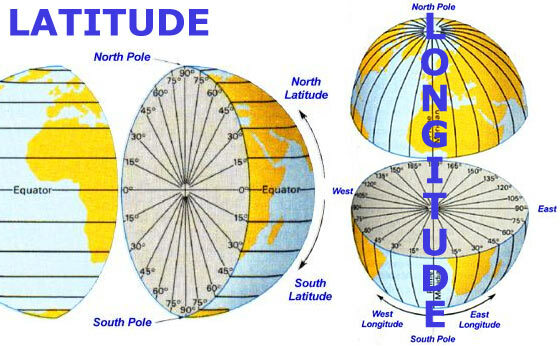 Latitude measures north and south, relative to the equator and poles. Longitude measures east and west, centered on the Prime Meridian. Combining the two like X and Y coordinates on a graph you can quickly specify a location anywhere on the globe. As we go forward and in my games I substitute nautical miles for statute (normal) miles. Because one nautical mile is equal to one minute (1/60th of a degree) of latitude. This makes it simple translate distance between a macro and micro scale. 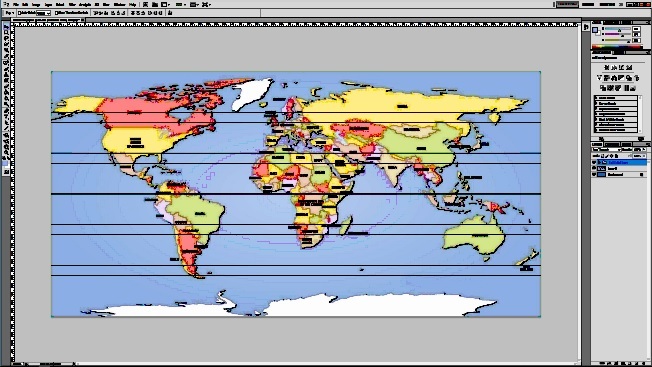 Longitude & latitude grids out your world map. As a gamer you might immediately see the use in that. It’s very useful for worldbuilding. Now, that usefulness is lessened if I map out each 1 degree square of longitude & latitude. That’s nearly 65,000 squares. 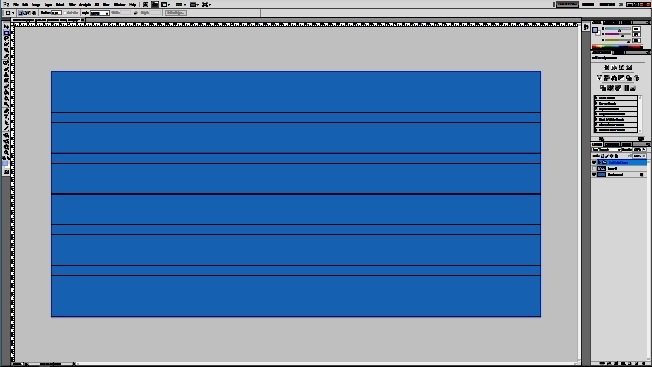 To make this more useful I’ll only grid out every 6 degree square. That makes a map grid of 60 x 30. Much more palatable. Why six degree squares and not five degree squares? Well, because multiples of three come up a lot more often in this process than multiples of five. Which means more often whatever we’re trying to notate is going to sync with a line on our grid. Makes life easier. But how big is a square of longitude & latitude? It’s 3600 square nautical miles. Or… 4,143 statute miles, 6,667 kilometers. You non-euclidean smart cookies out there realize the Earth is round and thus the squares on our grid aren’t actually uniform. You’re correct. I also won’t be adjusting for this. For those interested there are tools online that will take a flat projection like the map we’ll be making and correct the inherent distortions. They also let you see your map as a globe and that’s pretty cool. 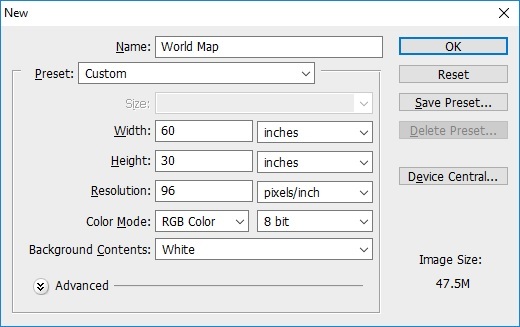 In Photoshop I’ll make a new map. I’ll make the width 60 inches, height 30 inches, and set the resolution to 96 pixels/inch. These are important latitudes to remember. I notate them as physical lines and put them into a folder labelled “Latitude Lines”. Notate the Equator, 24N, 30N, 54N, 60N, 24S, 30S, 54S, 60S. The Equator divides the North and South hemispheres in half. This is important for mapping things like prevailing winds, ocean currents, and the mirror’s edge for climates. The 24 degree latitudes are better known as the tropics. This is the area where the tropical zone and the temperate climate zone begins. The 30 degree latitudes are belts of high pressure. The 54 degree latitudes are low pressure belts and mark the beginning of the Taiga pine curtain. At 60 degrees latitude the weather begins transitioning to polar climates. If none of that made sense don’t worry. We’ll be going over it in more depth later. I also like to add an Earth map of comparable size. This helps me visualize how large things are compared to Earth. If you’re stuck on a blank page try rolling 3d4 to generate the number of continents. I’ll be making a world with three large continents. I rolled randomly, but I still like the result. I enjoy the idea of long, overland travel across plains and deserts. I’m conjuring up images of Marco Polo, Lewis and Clark, Bedouins, Great Plains, and the Mongol Steppe. All right but, how big should your continents be? Well, the ocean covers 71% of the Earth. That makes 29% of it land. On our grid that’s 522 squares of land. We can divide that among our continents. Here’s a quick list of the approximate map grid squares per Earth landmass. I advise making sure each of your continents is at least 30 squares in size. I like to follow the golden ratio. X = Total Land (522/7), with a little bit of rounding as necessary. Those are some monster landmasses! Continent 1 is twice the size of North and South America combined. Continent 3 is almost the size of Antarctica and Australia combined. When we come back next we’ll see how and where those landmasses go; from abstract numbers to map locations. This entry was posted in DMs, Worldbuilding and tagged latitude, longitude, map making, world map, worldbuilding by redraggedfiend. Bookmark the permalink.